These photos were taken while snorkeling on the North Shore by sharks cove. There are many things to see, but the sea turtles are by far the best. The bottom is made up of boulders and coral that form small caves in which marine life love to hide. This area is great for beginners and for people who are more advance. You are able to either stay close to shore or go out a little farther. 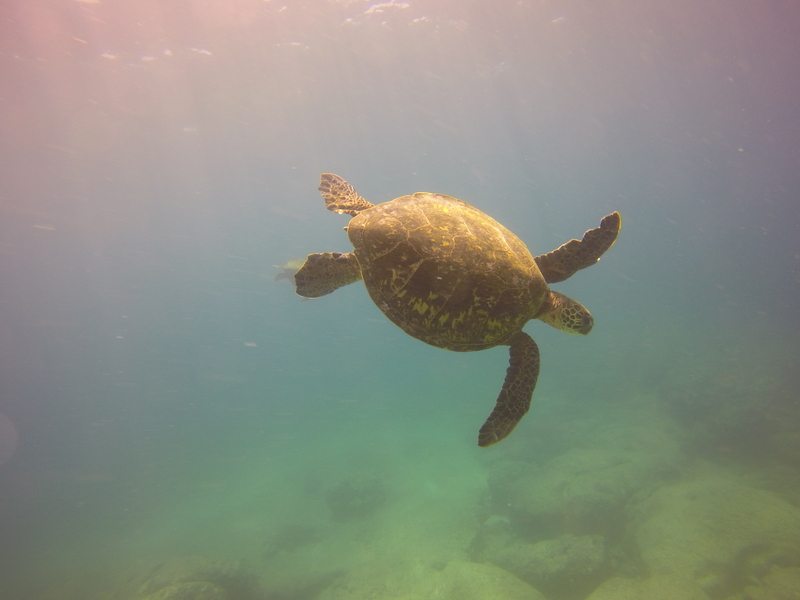 This area has a huge variety of marine life located in one of the most beautiful areas of Oahu! This is the best time of the year to go check out this spot due to the waves being smaller!